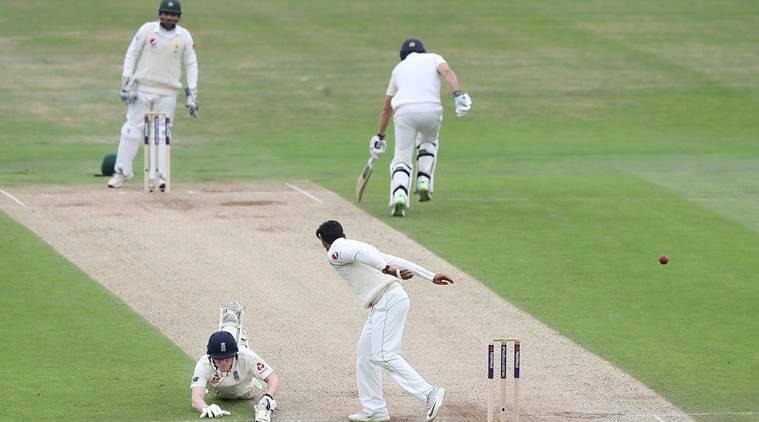 The first Test between Pakistan and Australia ended in a draw. 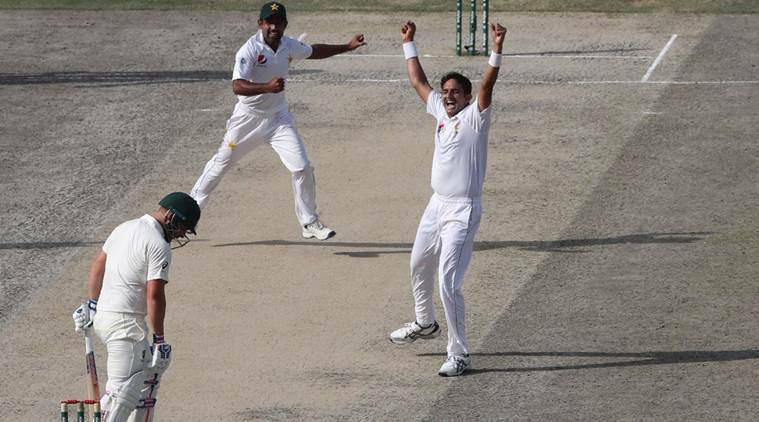 Pakistan vs Australia: The first Test between Pakistan and Australia ended in a draw. Australia batsman Usman Khwaja scored a brilliant century before he was dismissed on 141 by Yasir Shah. The leg-spinner almost won the match for Pakistan as he went to dismiss three batsmen in the final session of the fifth day. Yasir Shah was the most destructive bowler for Pakistan as he took four wickets in the final innings of the match. This is the first drawn Test between Pakistan and Australia since October 1998. 350 comes ups for Australia. Tim Paine is batting on 57, while Nathan Lyon is giving him company at the other end. Australia requires more 110 runs to win. Australia are motoring along comfortably as Pakistan continue to try hard for a breakthrough. Usman Khwaja is batting at 140, while Tim Paine is at 36. Australia requires more 133 runs to win. Australia reach 289/5 at Tea on Day 5. Need 173 more to win with 5 wickets in hand. 45 overs remaining - Australia need 198 runs to win with 5 wickets in hand. HUNDRED FOR USMAN KHAWAJA! 7th Test hundred for the batsman and he lifts Australia's spirits after Head's fall. Travis Head and Usman Khawaja start from where they left off. We have a game on our hands. Excellent session for Australia. Apart from one HUGE LBW APPEAL, which went to umpire's call and was utlimately given a NOT OUT, Australian batsman did not face too much trouble. A total of 79 runs have been added and Australia now need less than 250 runs to win. Australia could not have asked for a better start to the day. With Travis Head and Usman Khawaja still in the middle, the Aussies have crossed the 200-run mark. AUS 207/3. Still need 255 more to win. 100 run partnership between Travis Head and Usman Khawaja. This has become a troubling stand for Pakistan and the hosts need to find a way to break this, sooner rather than later. Solid first hour for Australia! Great first hour for Australia as Travis Head and Usman Khawaja added 42 runs together on the board for Australia. Pakistan bowlers continue to search for wickets. A FIFTY on debut for Travis Head. Australia are slowly and steadily going about the business. Target has come down to below 300 now. Usman Khawaja and Travis Head out in the middle for Australia. Wahab Riaz and Bilal Asia start the attack for Pakistan. HERE WE GO! Hello and welcome to our Live Blog on the exciting final day of the first Test between Pakistan and Australia. Australia are in for a chance to create a record by chasing the highest total in Test cricket of 462. The current best is of 418 chased by West Indies against Australia in 2002. Pakistan, on the other hand, have a slightly easier task in front of them. They need to take 7 wickets on a turning wicket and register their first win. Either ways, it could be a long, exciting day of Test cricket in store for the fans. Who will come out top? Wait and watch. Pakistan vs Australia Live Cricket Score 1st Test Day 5 Live Streaming: Pakistan seamer Mohammad Abbas claimed three quick wickets as Australia hobbled their way to 136-3 on Wednesday, chasing a mammoth target of 462 in the first test in Dubai. Australian openers Usman Khawaja and Aaron Finch picked up where they left off after their 142-run stand in the first innings, adding 72 runs by Tea on day four. The pair added 15 more runs in the final session before Abbas trapped Finch leg before for 49. The visitors squandered another good start when the Marsh brothers were dismissed for ducks by Abbas. Shaun was caught behind off a well directed delivery, while a darting inswinger downed Mitchell plumb in front of the stumps. Khawaja (50) and Travis Head (34) added 49 runs and will look to continue on the same note as they hope to grind out an unlikely draw on the final day.